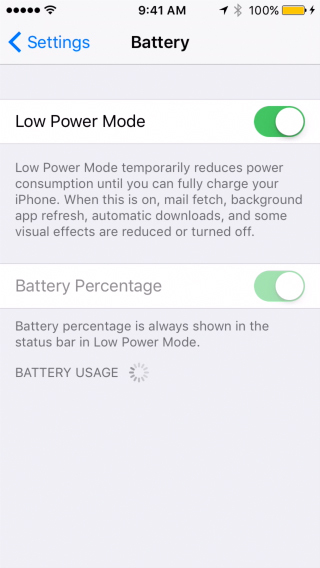 In this tutorial you are going to learn how to use power saving mode on iPad and iPhone on iOS9. Low Power Mode reduces animations, decreases the time before the screen darkens and generally makes every effort to reduce battery usage. Battery indicator is Orange when in Low Power Mode. One more feature that helps you reduce the battery usage is Face Down Detection. iPhone will detect if your device is face down on the table and prevent the screen from turning on, when you receive a notification. You will still receive the sound and vibration alerts and the screen will light up if you pick up the device within the few seconds of receiving the notification. 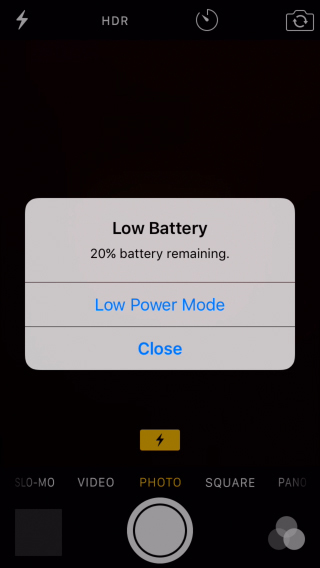 Whenever your iPhone’s charge drops below 20%, a message will pop up to warn you of this fact and offer low power mode.